In Florida, as our population grows the need for infrastructure increases. New shopping centers, large malls, strip centers and many other businesses are needed to provide services to those moving into our growing communities. Each new business invites people to shop, dine -to spend time and money- with family and friends. These new business owners have legal obligations to you; a guest and business invitee. We work, shop, eat, drink, and enjoy all of these places, and provide revenue to the businesses; taxes to our state and local communities. As a Miami resident for over 50 years, I have seen incredible growth. The crowds that use and visit these businesses create risk and potential zones of danger. Think about your typical visit to a shopping center such as Publix- fresh food falls from carts or bins; water and ice is used to maintain freshness; these fall, spill over, remain on the floor and become slip and and fall hazards. 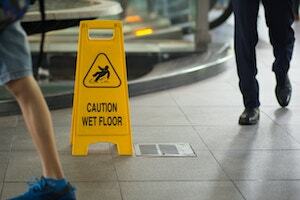 An experienced personal injury premises liability lawyer knows why these business owners are liable to you for injuries caused for trips and slips and falls or other incidents caused on their premises by acts of negligence. Discovering your story, sharing it with the jury and getting them to relate to YOU is the essence of a trial by jury. Glenn J Holzberg is an experienced premises liability lawyer; a proud graduate of the Gerry Spence’s Trial Lawyers College in Wyoming. I am trained in the technique of “psychodrama”- of developing and sharing your story with jurors, judges, insurance adjusters and opposing counsel. If you are willing to work hard, to share your life story, your story before and since your injury or the death of your loved one, then you should call and talk to me. Together we will seek JUSTICE. Let’s discover your story and get you the damages which your case merits. Call NOW and speak directly to me. We serve clients throughout Florida including those in the following localities: Miami-Dade County including Aventura, Coconut Grove, Coral Gables, Homestead, Miami, Miami Beach, and South Miami; Broward County including Coral Springs, Deerfield Beach, Fort Lauderdale, Hollywood, and Pembroke Pines; Collier County including Naples; Hillsborough County including Tampa; Manatee County including Bradenton; Marion County including Ocala; Monroe County including Key West and Marathon; Palm Beach County including Boca Raton, Delray Beach, Palm Beach, and West Palm Beach; Pinellas County including Clearwater; and Sarasota County including Sarasota.